Landscape Science Consultancy have had a busy newt season this year - we have conducted Phase 2 presence/absence surveys on more than 30 ponds at sites across Cambridgeshire, Staffordshire, Bedfordshire and Warwickshire as well as closer to home in Melton Mowbray. Alongside the presence/absence surveys to inform new development proposals, we have also been undertaking monitoring surveys in accordance with the European Protected Species Mitigation Licences (EPSML) we had obtained on behalf of our clients at two previous sites. In both cases, the populations were found to be doing well, and making use of the new receptor site ponds we had designed. LSC provide comprehensive ecology services, from the beginning to the end of a project. This begins with a scoping survey where we may identify the potential for great crested newts on a development site, through to the Phase 2 surveys which assess whether a population is present. We can then apply for an EPSML (newt licence) to permit works to go ahead, design and develop receptor sites and mitigation ponds, undertake newt translocation, provide ecological supervision during site clearance and then monitor the success of the works. 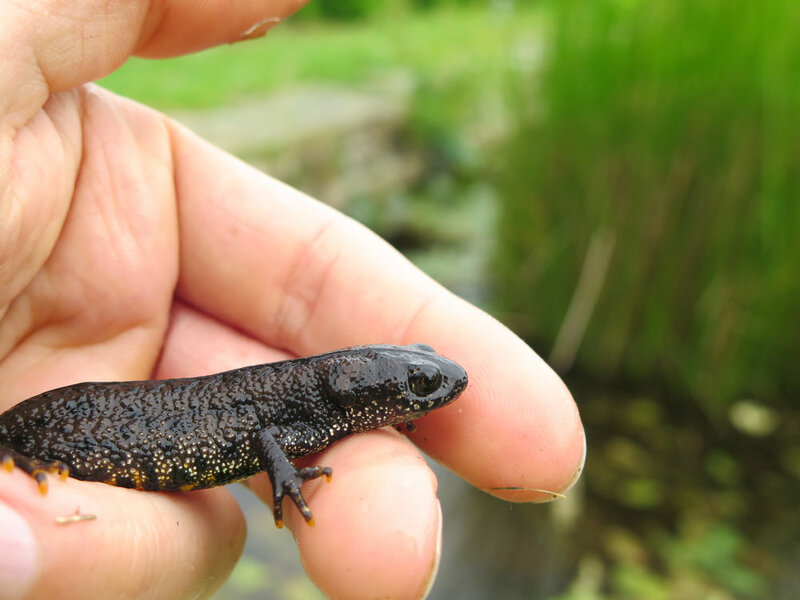 For more information on our great crested newt survey services, check out our dedicated webpage here!